Multivitamin complex with amino acids, green tea, ginger extract and olive leaf extract specially for men. It provides 300mg of magnesium per daily dose. With zinc and vitamin B6. Improve your health with fish oil. Mercury free. Vitamins, minerals and herb extracts, especially for women. It provides 225mg of vitamin C per serving. Protein bars. They provide 20g of protein per serving. Blend of Amino acids and Energizers. Perfect protein to take anytime, in the morning or at night. Pre-workout formula with citrulline, beta-alanine, caffeine, capsaicin and antioxidants. Protein supplement very low in fat and sugar. It includes CLA, L-Carnitine and Green tea. ON Casein is just about the best in the market providing the best protein mix. You get what you pay for 100%, the Vanilla is the preferred choice for the casein. Wouldn't purchase another brand. Optimun Nutrition was the first brand to introduce casein protein in the supplementation and fitness world and the first to introduce the micellar casein formula. However, leadership is due to the success of its top product 100% Gold Standard, considered to be the best whey protein concentrate in the world. 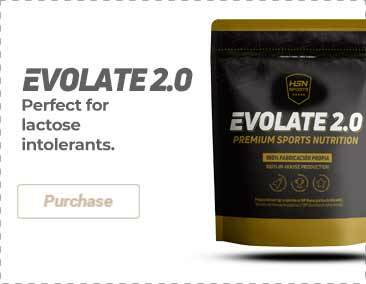 This product has been winning the "Protein Powder Of The Year" and "Supplement Of The Year" awards since 2005. Through a very organised and complete structure, the Optimum Nutrition team works in a perfect coordination and flexibility to meet the consumer's needs. Optimum Nutrition has removed a great part of intermediaries and they now control their integrity through the whole process of manufacture and distribution. Before a single machine is turned on in our manufacturing facilities, ON procurement professionals carefully select the most premium raw materials. A Certificate of Analysis is required for every ingredient, which is then tested and retested for compliance. Quality assurance performs daily inspections of our current Good Manufacturing Practices (GMPs) compliant facilities, which are Certified for Sport by NSF. ON's strict ingredients selection, quality control, lab testing and manufacturing processes are all done for one reason: to provide you with the highest quality sports nutrition products available. Our company was founded with a mission to bring consistent quality to the marketplace, and we are constantly working on setting even higher standards. 100% Whey Gold Standard: This is a range of products based on whey protein was the highest quality. In this range we are your Top Seller 100% Whey Gold Standard. Natural Products: Product Range 100% natural, free from artificial flavourings and sweeteners. Platinum Products: Full range of high quality products among which highlights its Top Seller Platinum Hydro Whey. Pro Series: This is the newest range designed especially for professional athletes. Specialized Proteins: Specialised proteins. Top Seller 100% Casein Gold Standard. Specialty Products: Products that promote overall health. Fish Oil stand, Fitness Fiber, Flaxseed Oil and Melatonin. Strength and Recovery: Range of products that promote recovery and muscle development such as Serious Mass and other products with amino acids, creatine, nitric oxide stimulators and more. Vitamins and Minerals: Special multivitamin formulas for men and women enriched with natural extracts and antioxidants. It also includes a line of clothing and other accessories ON Gear for sports. It sponsors athletes like: Alberto Umana, Alex Carneiro, Ali Mackinney, Alicia Harris, Amanda Insalaco, Amber Passini, Angel Vanucci, Anna Starodubtseva, Ashley Leahy, Belinda Risteski, Brian Lewis, Brock Cunico, Bryan Pazdzierz, Charles Glass, Chelsea Beaudin, Christina Larson, Daniel Banks, Daniel Stevens, Danielle Merrell, Dave Williams, Dayna Tappan, Eugene Moore, Evan Shy, Frank Fata, Jacqueline Zediker, Jaquelyn Kastelic, Jason Powell, Jen Aragon, Jen Turnbull, Jennifer Delgado, Jessica Paxson-Mone, Jessica Vasquez, Jim Collins, Joni Ortiz, Julian Smith, Kate Osman, Kelechi Opara, Kristal Umana, Krystal Rhodes-Skinner, Kyle Hein, Lindsey Renee, Luke Boehm, Maria DiNello, Marvin Montgomery, Melody Wyatt, Mercedes Perez, Michael Del Zoppo, Michael Rigoni, Mike Kurzeja, Nicole Spitzack, Pierre Vuala, Qaadir Majeed, Rachel Bertler, Rachel Cammon, Rachel Ponder, Ryan Taylor, Sarah Brown, Sean Royer, Siliana Chanel, Steve Cook, Tarah Andrews, Tiffany Upshaw, Tim Rice, etc.